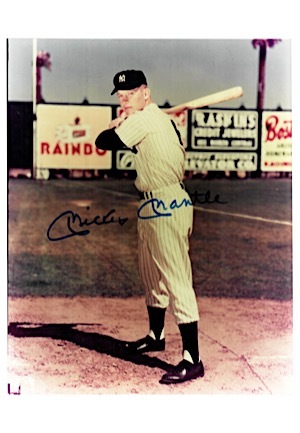 A single-signed 8x10 color photo showing Mickey Mantle holding a bat. 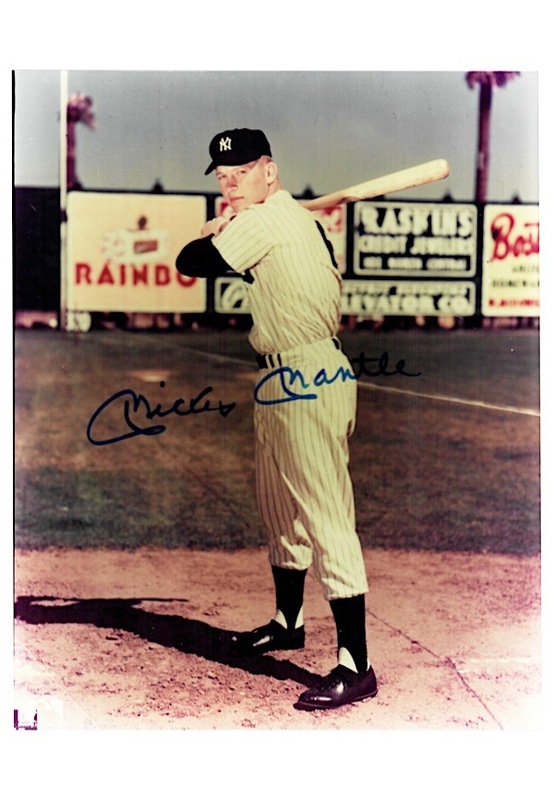 Mantle signed the photo in blue marker and in our opinion the signature rates a near 9. Accompanied by a LOA from JSA.